The easiest way to buy marijuana. Enter your email below to be the first to know when Canary launches in your city! We know you don't want to leave the house on the weekends. With Canary, you don't have to. Products are delivered to the location of your choice. 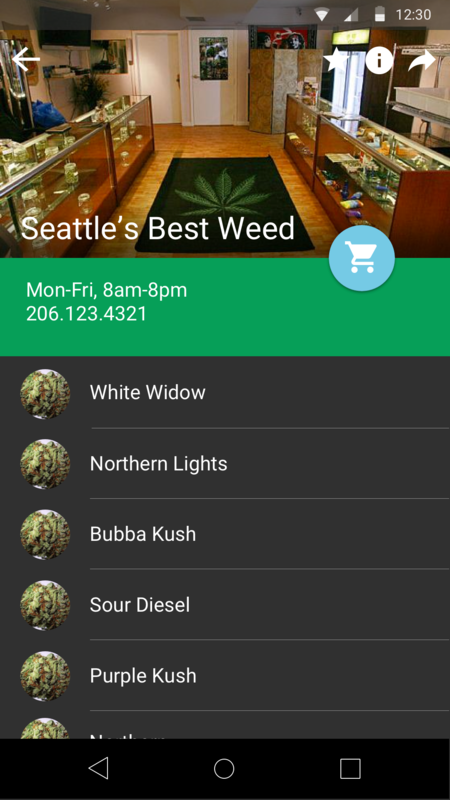 Canary operates in full compliance with state and city laws with state-licensed marijuana retailers. Sign up takes seconds, and verifying your status as a legal cannabis user is as easy as scanning your ID when you register. We won't ask you to do it again. Canary is your source for safe, effective and delicious cannabis products. Ordering takes minutes and delivery is usually within the hour. 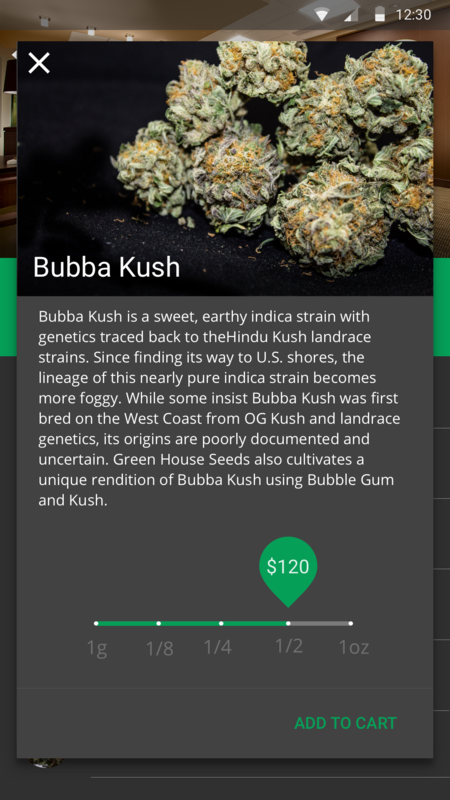 We're sourcing our strain attributes and reviews from a wide variety of partners. With Canary, you'll always have the most up-to-date selections. Our catalog includes popular food and drink items to satisfy your insatiable appetite. Yeah, we've thought of everything. Canary abides by all recreational and medicinal cannabis laws on a state-by-state basis. When you first sign up, we'll need proof that you're able to enjoy cannabis legally in your state – you'll take a picture of your ID or medicinal marijuana card during signup and send it to us for verification. Once verified, you're good to order. We believe that you should be able to enjoy all strains of cannabis, not just the ones available at your local store. We're partnering with dispensaries and producers to connect you with a huge variety of cannabis products. Interested in becoming a Canary partner? Click here. 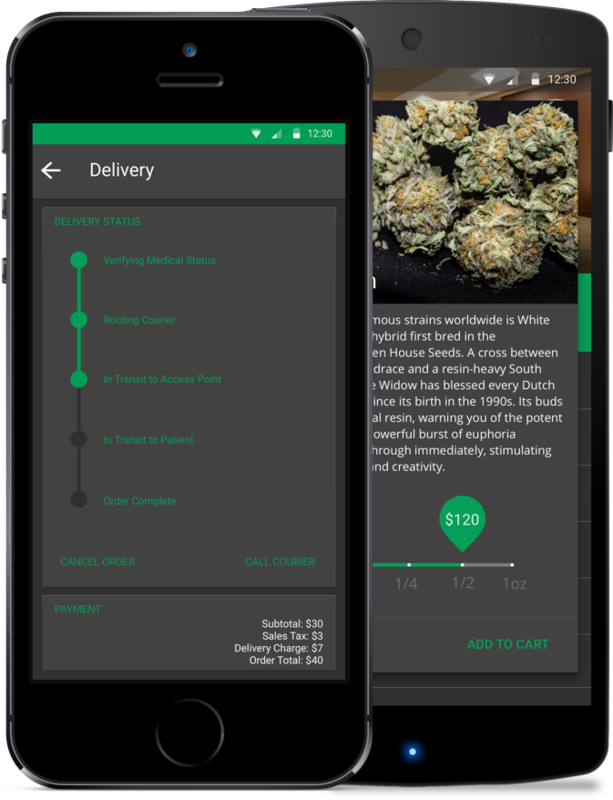 Canary makes ordering marijuana as easy as ordering a pizza. Choose to pay through the app or with cash when your driver arrives- whatever's most convenient for you. 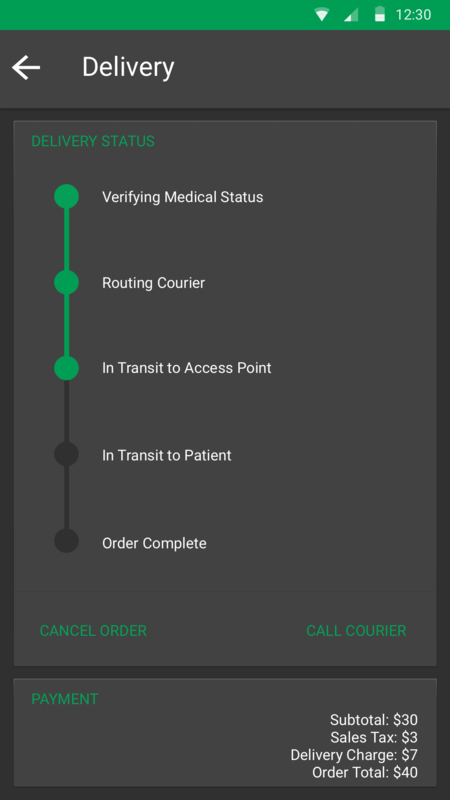 After placing an order, we'll route the nearest Canary courier to fulfill your delivery within the hour. 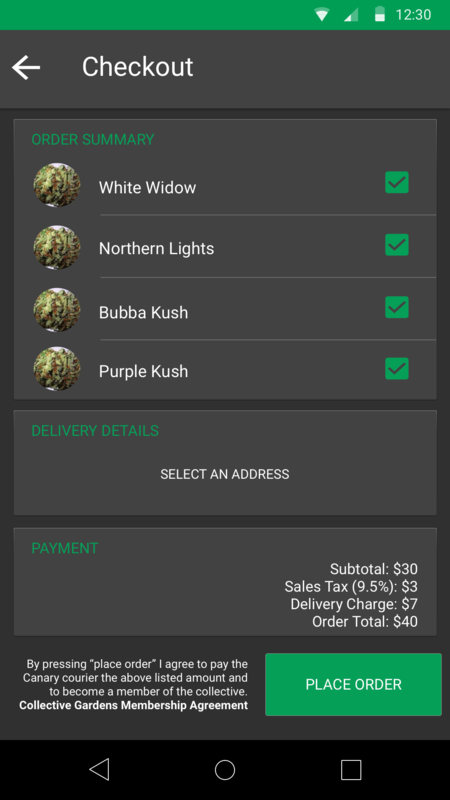 You're always only 3 button clicks away from getting cannabis delivered to you quickly and efficiently. Stay home, we've got you covered. 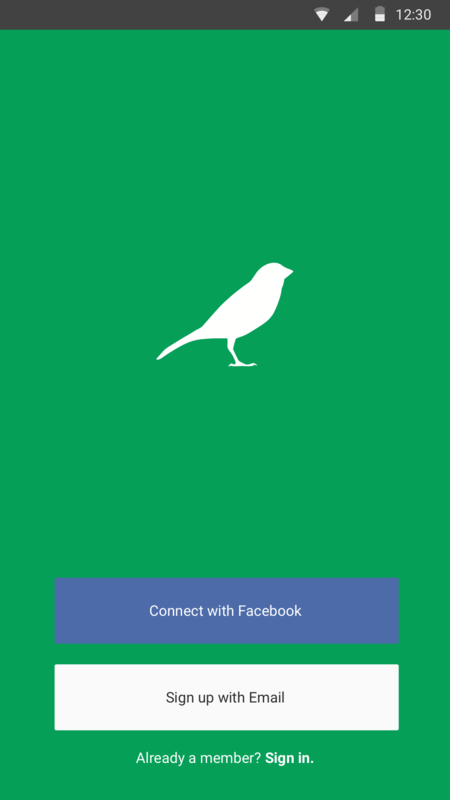 Here's what the Canary app looks like. And tell all your friends! 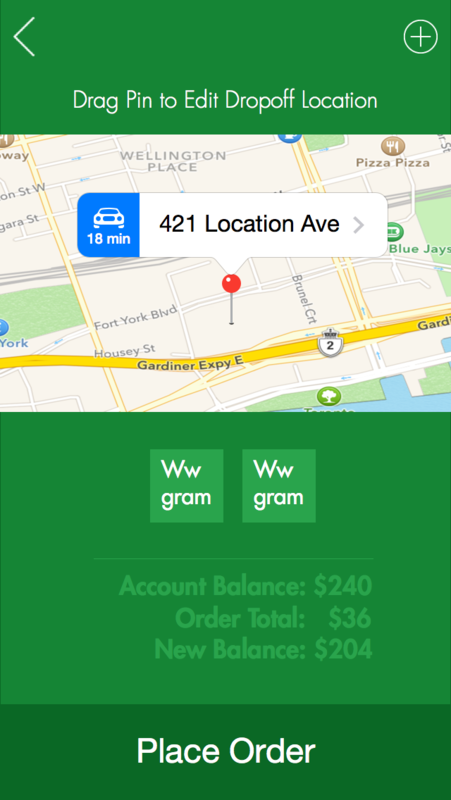 Canary operates in full compliance with all applicable state and local laws, as do Canary's partner dispensaries. Canary is not a dispensary and does not sell marijuana. 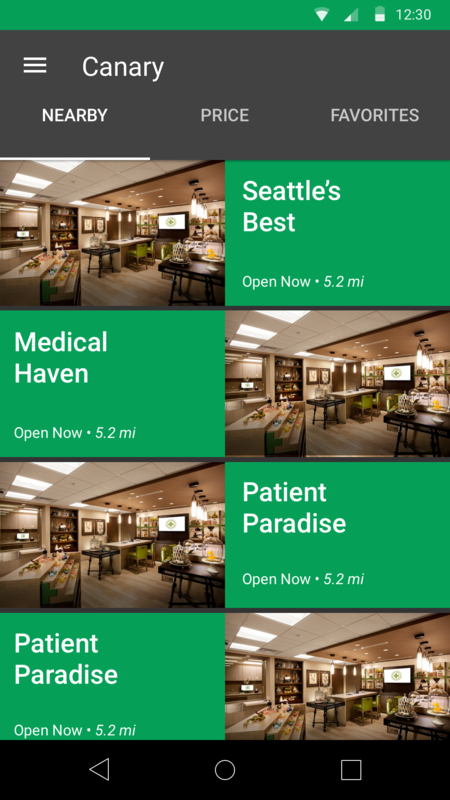 Canary is a service that connects qualified patients with local dispensaries. Canary makes no guarantees about the quality or quantity of Cannabis provided.